Employ analytics to identify process and product quality problems earlier and more definitively than traditional SPC methods. Learn how technology is becoming the eyes and ears of quality management. Learn how IBM Research scientists are leading the manufacturing era with solutions and analytics for industrial companies. Annotated demo shows how a process engineer monitors and detects process and product quality problems. 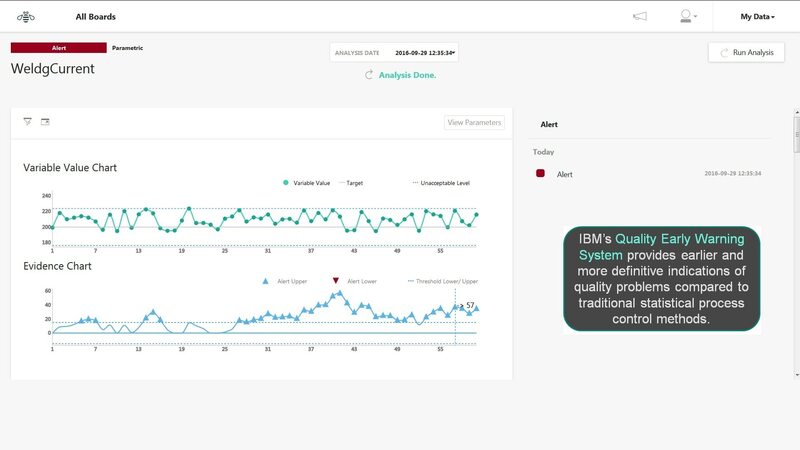 Subject matter experts explain how IBM's Quality Early Warning algorithms can help improve process and product quality.